and see just how far they can take their gear. The latest and greatest to grace Australian IMAX screens, Great White Shark, unravels the mystery of the creature we love to fear—the much maligned, misrepresented and misunderstood beast of the deep—and goes to the depths of human daring and cinematographic prowess to tell the true story of its role atop the oceanic food chain. 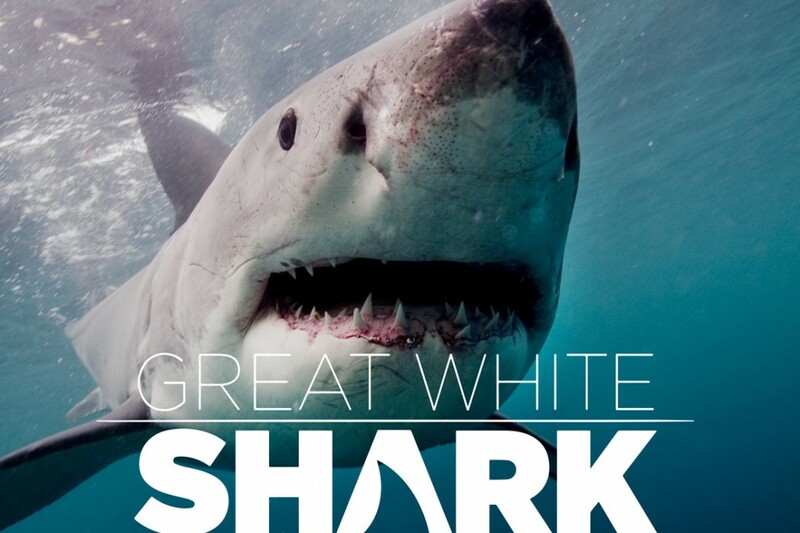 Three years in the making, Great White Shark takes viewers around the world to great white hotspots: from the crystal clear waters of Mexico’s legendary Guadalupe Island, to newly-discovered shark territory around Stewart Island off the southernmost tip of New Zealand, to the bone-chilling waters of South Africa’s ‘flying’ great whites and finally to the California coast near heavily-populated Los Angeles. The film examines what we know about these incredible animals through the eyes of several people whose lives and work have become inextricably linked to the great animal. 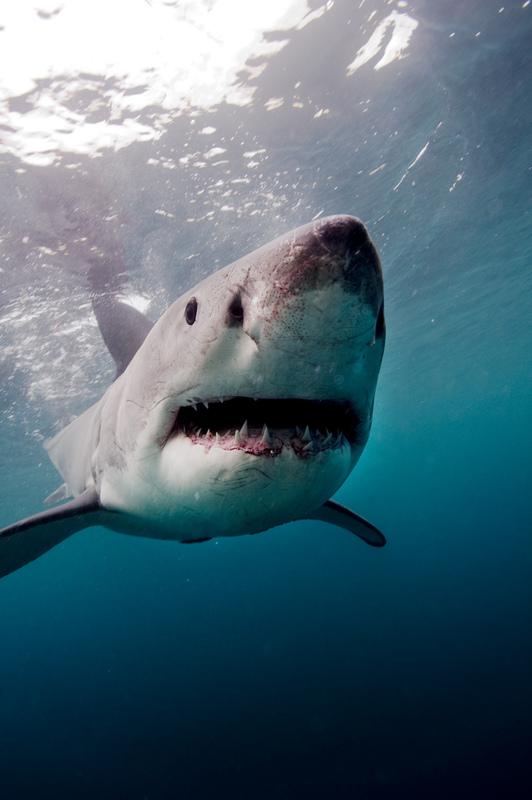 Using revolutionary high-speed, digital IMAX cameras in South Africa, the filmmakers captured the great white breaching for the first time in 3D. The film is available in release in both 2D and 3D. D.J. 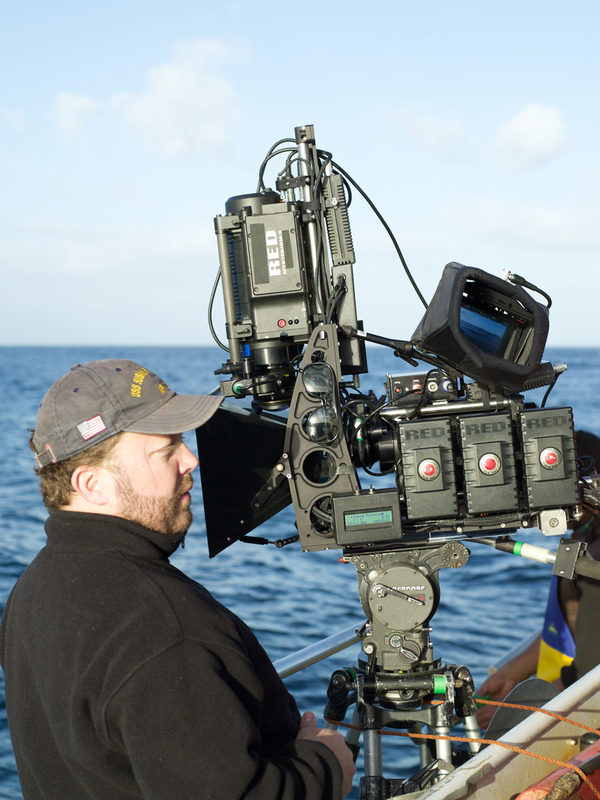 Roller, Producer and Director of Photography for Great White Shark, said the film dazzles because his uniquely designed camera enabled him to capture much higher resolution and better slow motion underwater than ever before. “We were determined to bring audiences something truly ground-breaking in a shark film”, he said. 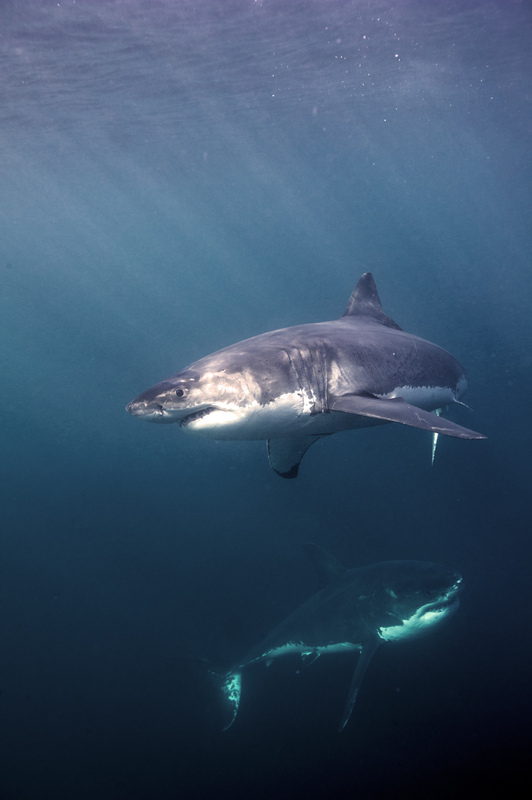 In 2004, director Luke Cresswell took his first trip to Isla Guadalupe, a 24-hour voyage by boat from the port of San Diego; and it was there he saw his first great whites, in crystal clear water, bathed in sunlight. He returned to the UK determined to make a film about them – and like the real thing, it had to be in 3D. Working on their first 3D documentary, Wild Ocean, with D.J. Roller as underwater Director of Photography, the team started to learn everything there was to know about deep water 3D shooting. They followed it with another film called The Last Reef. 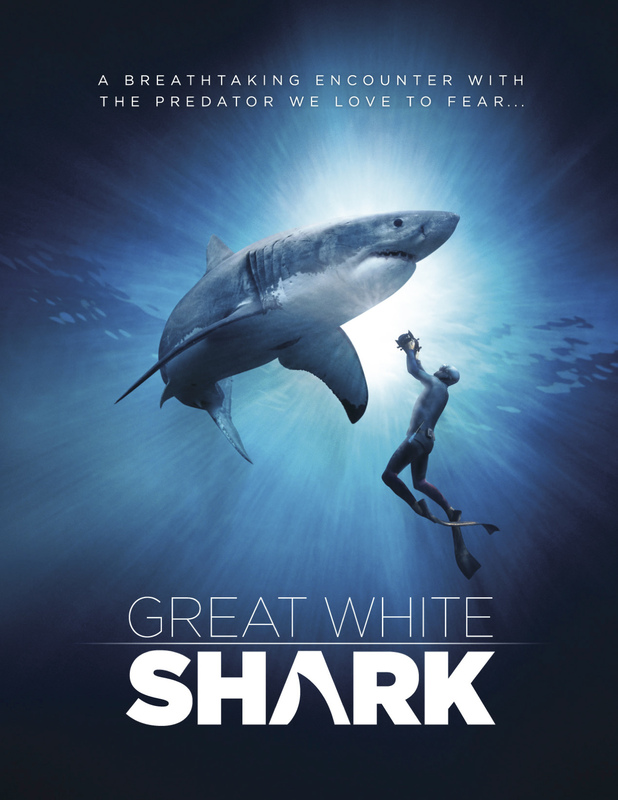 Sharks made guest appearances in both movies, but there was still no sign of the great white documentary. For The Last Reef, D.J. 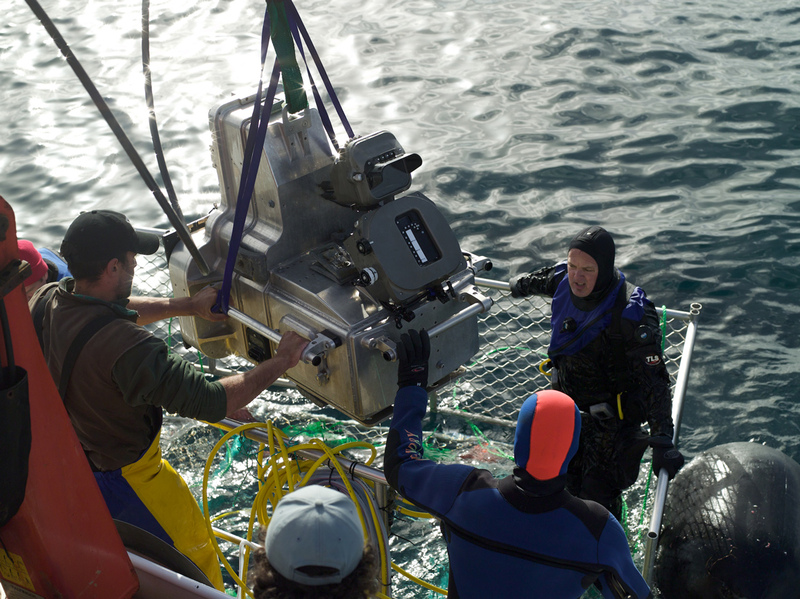 designed the world’s first underwater 3D beam-splitter rig, and since they now had the means of production, they felt it was time to go ahead and have a go at the great white project. In 2009, Luke and D.J made the trip to Guadalupe and captured the deep cage diving sequence, which looked even better than it had in their heads. 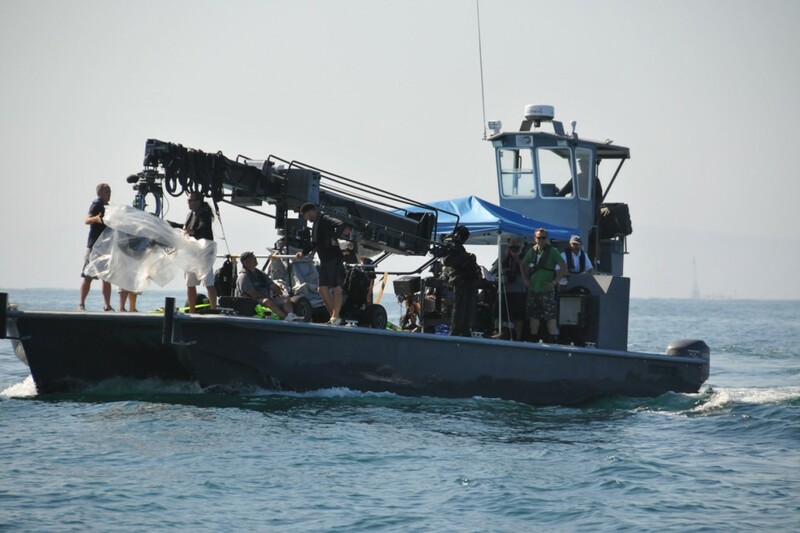 Great White Shark was finally in production, and would be a fitting conclusion to a trilogy of underwater films. 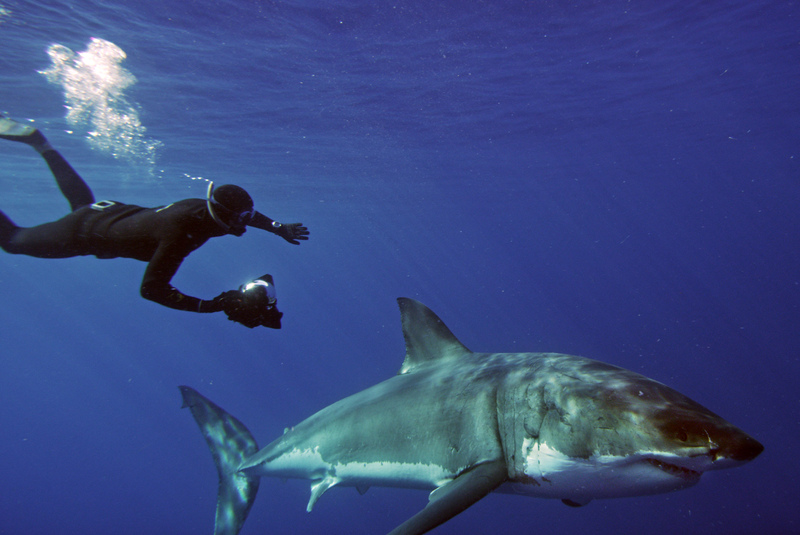 While still in production on The Last Reef, the team headed for South Africa, hoping to shoot footage of divers swimming outside of the cage with a great white. 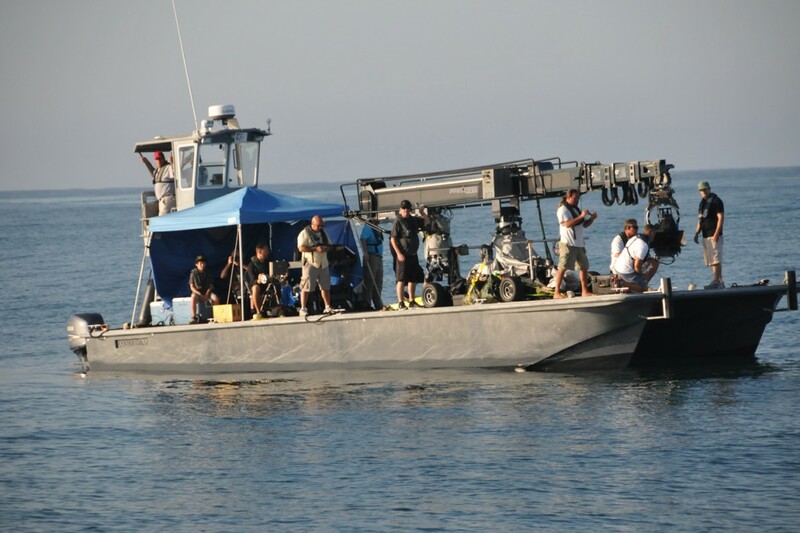 As luck would have it, the IMAX production, Born to be Wild, was shooting in Kenya, with the IMAX/Phantom 65 3D camera system, and they were able to ship it down to Gansbaai. 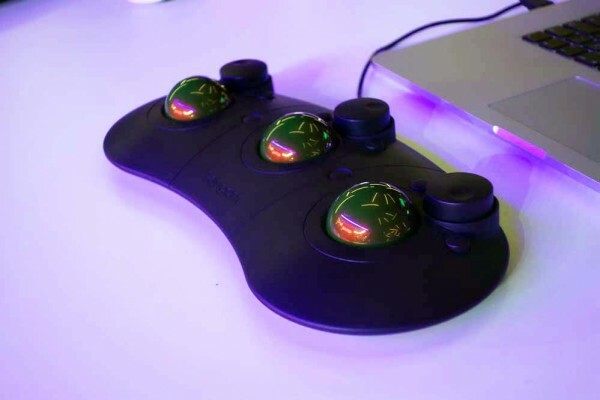 This enabled shooting with a long lens, in 3D in full 4k resolution at 140 frames per second, which opened up a vast realm of possibilities. 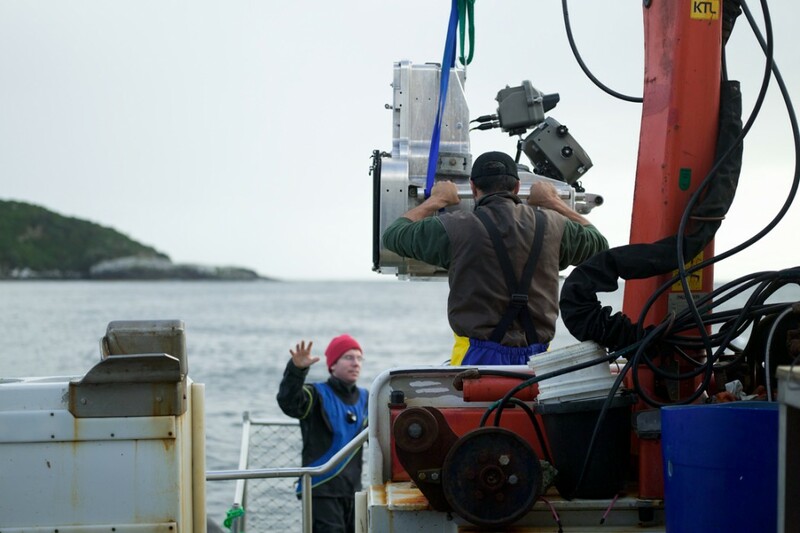 It was the first time that they had felt confident enough to use a 3D digital system above water for large format, with the added bonus of being able to shoot slow motion. They were armed with enough footage to pique interest in the film, but were always on the lookout for further great white action, something to make this movie unlike any other. 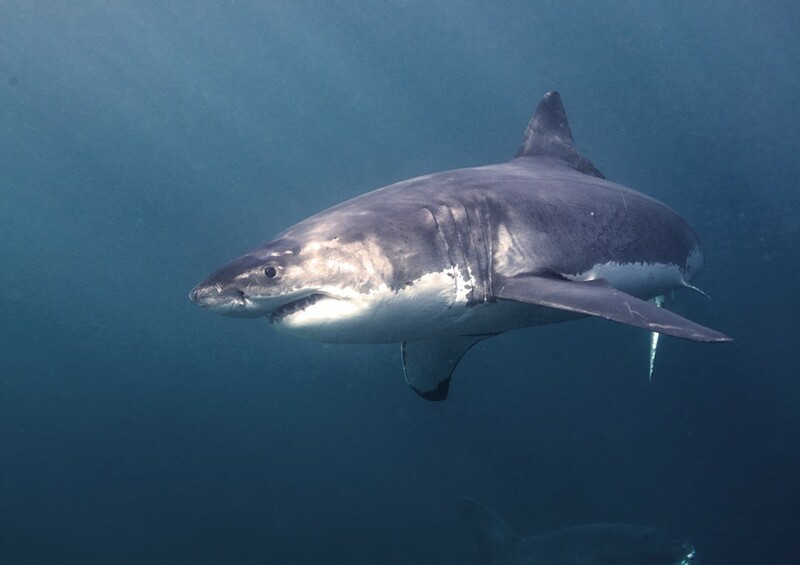 After trying and failing to negotiate shooing permission in the famed Farallon Islands, an odd YouTube video about a ‘newly discovered aggregation’ of white sharks in a ‘secret’ location led the team to somewhere no one had filmed professionally before; somewhere the sharks weren’t used to cages. 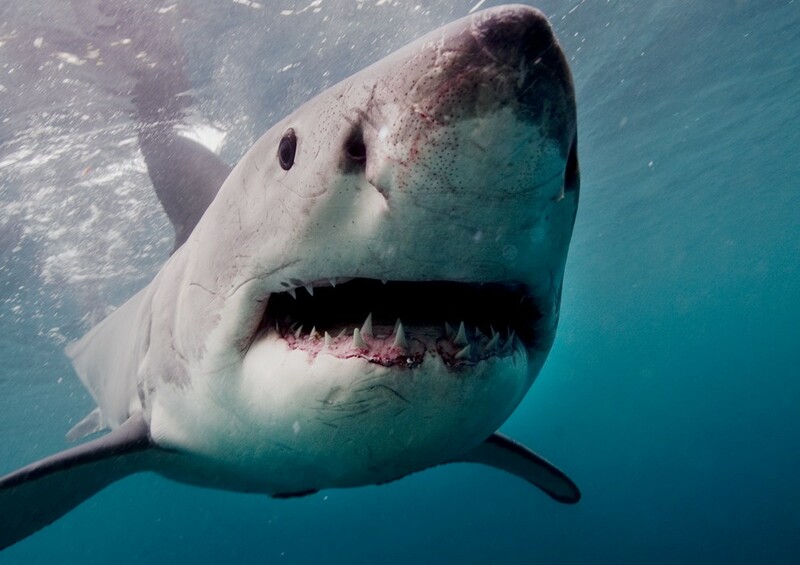 It would be an opportunity to capture raw images of great whites reminiscent of the very first images shot by Stan Waterman for Blue Water/White Death. 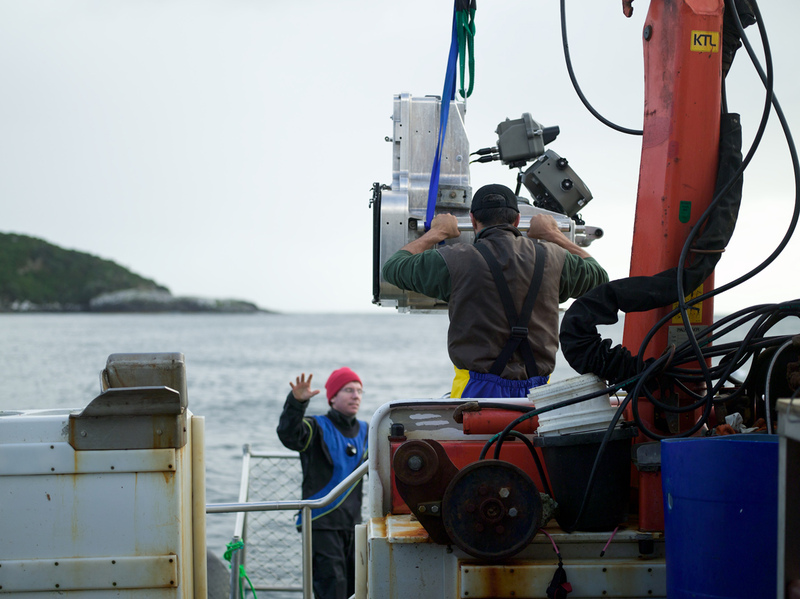 The location transpired to be Stewart Island, at the Southern tip of New Zealand. 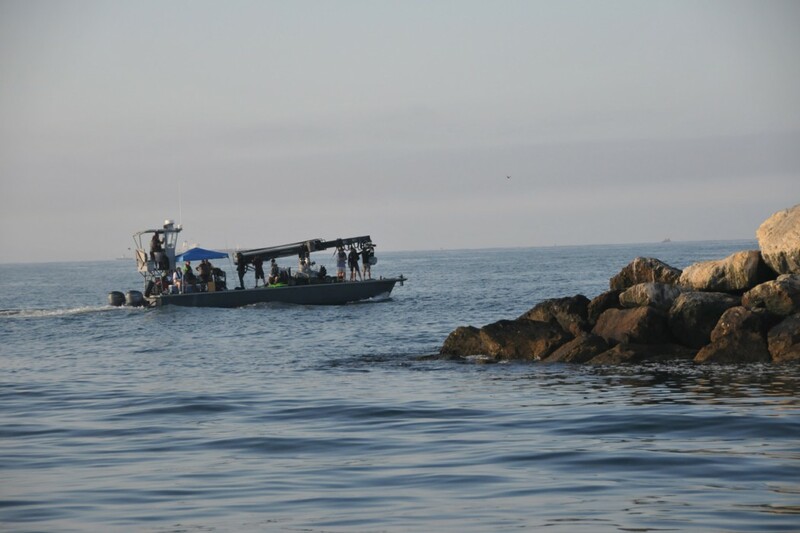 The process of shooting there was a frantic matter of monitoring our gear, monitoring the local oceans and monitoring local and foreign shark populations for new shooting opportunities.